Correction of negative astrological aspects. The negative karma from previous life can be presented as negative aspects between the planets in the natal astrological chart. There is different ways to work for transformation and overcoming of negative aspects, and is preferable to consider best methods for every chart individually. In Patandjali Radja Yoga AUM practise is considered as a way to destroy the obstacles. “28. The repetition of this and meditating on its meaning (is the way). Why should there be repetition? We have not forgotten the theory of Samskaras, that the sum – total of impressions lives in the mind. They become more and more latent but remain there, and as soon as they get the right stimulus, they come out. Molecular vibration never ceases. When this universe is destroyed, all the massive vibrations disappear; the sun, moon, stars, and earth, melt down; but the vibrations remain in the atoms. Each atom performs the same function as the big worlds do. So even when the vibrations of the Chitta subside, its molecular vibrations go on, and when they get the impulse, come out again. We can now understand what is meant by repetition. It is the greatest stimulus that can be given to the spiritual Samskaras. “One moment of company with the holy makes a ship to cross this ocean of life.” Such is the power of association. So this repetition of AUM , and thinking of its meaning, is keeping good company in your own mind. Study, and then meditate on what you have studied. Thus light will come to you, the Self will become manifest. But one must think of AUM , and of its meaning too. Avoid evil company, because the scars of old wounds are in you, and evil company is just the thing that is necessary to call them out. In the same way we are told that good company will call out the good impressions that are in us, but which have become latent. There is nothing holier in the world than to keep good company, because the good impressions will then tend to come to the surface. 29. From that is gained (the knowledge of) introspection, and the destruction of obstacles. The first manifestation of the repetition and thinking of AUM is that the introspective power will manifest more and more, all the mental and physical obstacles will begin to vanish. What are the obstacles to the Yogi? 30. Disease, mental laziness, doubt, lack of enthusiasm, lethargy, clinging to sense – enjoyments, false perception, non – attaining concentration, and falling away from the state when obtained, are the obstructing distractions. According Shri Chinmoy , there been hundreds peoples in India, who achieved Liberation practicing AUM mantra meditation. It is universal and multi-purpose method. The spelling of the letters have to be as in roman languages (French, Spanish) and not as this letter is spelled in English. 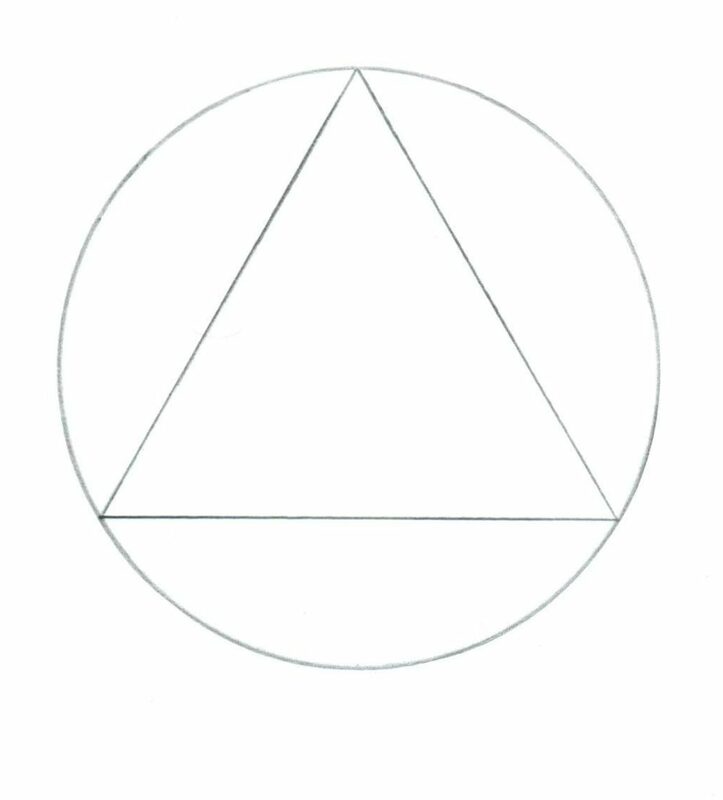 Concentration on spiritual symbol (yantra) – equilateral triangle drawn in circle with the top – up: few minutes to concentrate on the image and to think only for it. It can help for inner balance. May that tranquillity be everywhere, and in everyone. 4. 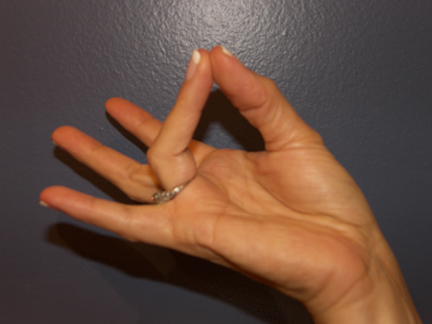 Concentration on the connected thumb and forefinger in circle – Jnana Mudra – for attaining spiritual knowledge: – connect fingers and concentrate your mind on this “circle” for around 3-5 minutes. 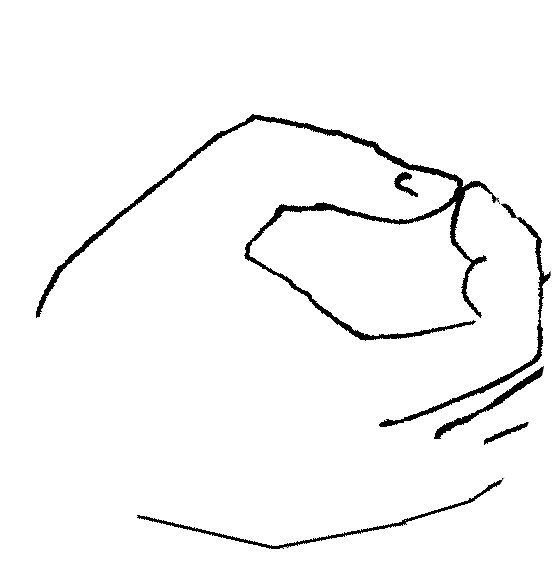 (Forefinger is connected with Jupiter) In the same way can be helpful concentration on mudras with the other fingers – connecting little finger with thumb in circle – for good communication/relations, business and money – Mercury , with ring finger and thumb – for art and Sun energies and with middle finger and thumb. – inner stability and overcoming of excitement – related to Saturn. Fingers are connected with different planets. Every mudra have specific influence and practicing all of them one by one in row can be more effective. You have to know one rule: when you are exciting, in the morning or in the evening, concentrate your brain or the end of your nose or the center of your eyebrows. Why? Inside the eyebrows, between hairs there is a blank called “ The blank of the silent observation, of Divine Mind” You have to concentrate, you have to hold your mind bright while it is coming a bright thought to you, an enlightenment. For example you have to decide a very important question. Stop your mint over it and after a minute it will flash a little light, it’ll come a bright thought and it’ll show you a way you have to walk. Sometimes, when people have a lot of troubles they knit their brows. When the man knitted his brows he unconsciously concentrate his brain to the center of the brows. When you concentrate your brain up you project it from the head to the sun it means to the central sun of the spiritual world. We define the God is above our heads. Don’t think where is God. When you projected your mind to the brows it will bring a good to your life. Breathing exercises to breathe from one and another nostril, altering the nostrils. You should be upright, the spine is straight up. Breath in through the left nostril (the right nostril is closed) – count up to 4. Hold the air, count up to 16, both nostrils are closed. Breathe out through the right nostril and count up to 8 (the left one is closed). 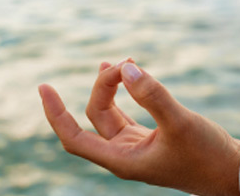 Breathe in through the right nostril (the left is closed) – count up to 4. Hold the breath, count up to 16, both nostrils are closed. Breathe out through the left nostril and count up to 8 (the right nostril is closed). The whole cycle 1-2-3-4-5-6 is repeated some times (for example 5-6 times) without interruption, in the morning and in the evening in empty stomach. Also as general rules to avoid new karma and transform easier the past – always speak only the Truth, avoid alcohol and follow vegetarian diet. Mail me for more mantras and methods to horoskopite(at)mail.bg or to pre-order the book “Spiritual methods for transformation of negative astrological aspects”.